Marlena does know how to make great eye shadows! I’ve always been a fan of Makeup Geek since picking up my Ultimate Palette (the new version now includes some duochromes) a few years back. 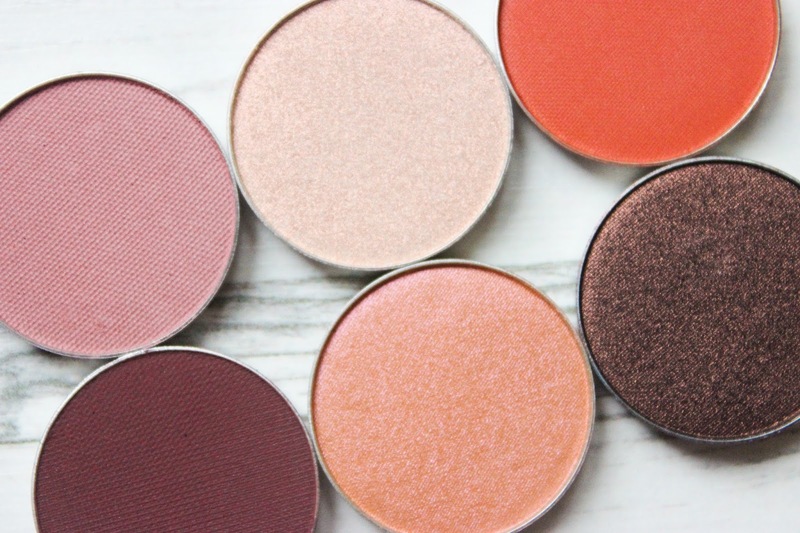 I’ve been in love with it and it is by far one of my most valued purchases since getting into beauty, so when I heard Makeup Geek were releasing new duo chrome shadows as well as new reformulated matte eye shadows I had to pay attention! After visiting the website, watching some YouTube videos and reading a few blog posts I picked up a few shades from both sets of releases as well as some original shadows. I mean, I just cannot fault these eye shadows at all! Out of my collection of 35 MUG eye shadows I cannot say there’s one that does not impress me and the new shadows are no exception to this! 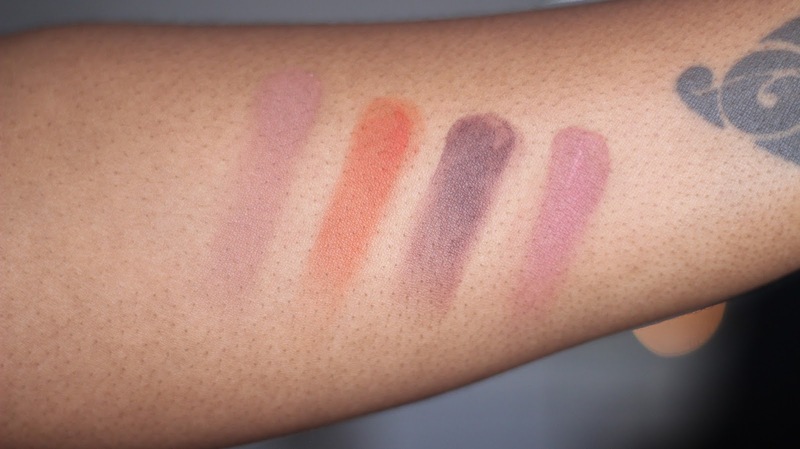 Firstly let’s talk about the reformulated mattes. If I had to notice a difference I would say it would be in pigmentation over anything, to me, the consistency of the new mattes over the old seem to be the same. The new matte shades seem to offer a tiny bit more in way of colour payoff when applying. As swatched above the shades do seem patchy but I can assure you they do not apply this way. Morocco and Cherry Cola both apply and blend like a dream. Frappe and Cupcake are original shades which I purchased for specific purposes. I use Frappe as a warm toned transitional colour which I am currently loving!! I used to use Latte which works as a cool toned transitional but sometimes you wanna change it up! Cupcake will be my go-to for a neutral matte lid colour that’s a little bit different from your average beige. Once again both colours apply great, Frappe blends out really well whilst Cupcake gives me the pigmentation I need when packed onto the lid with a shader brush. 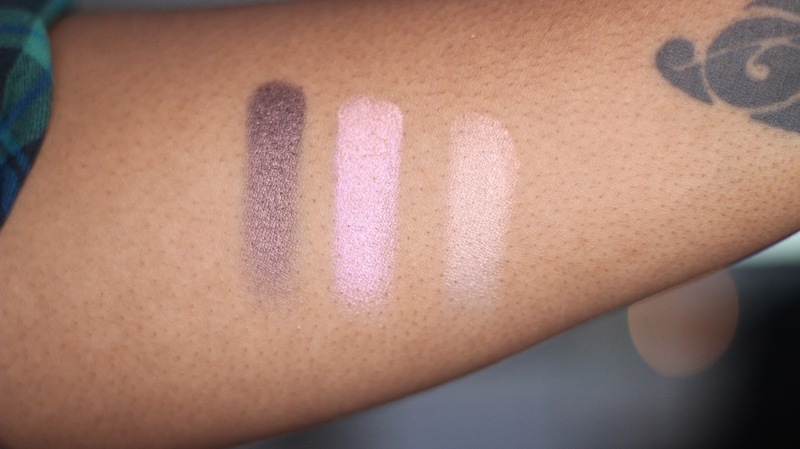 The duochromes really impressed me swatch wise – I’m yet to wear them on my lids. 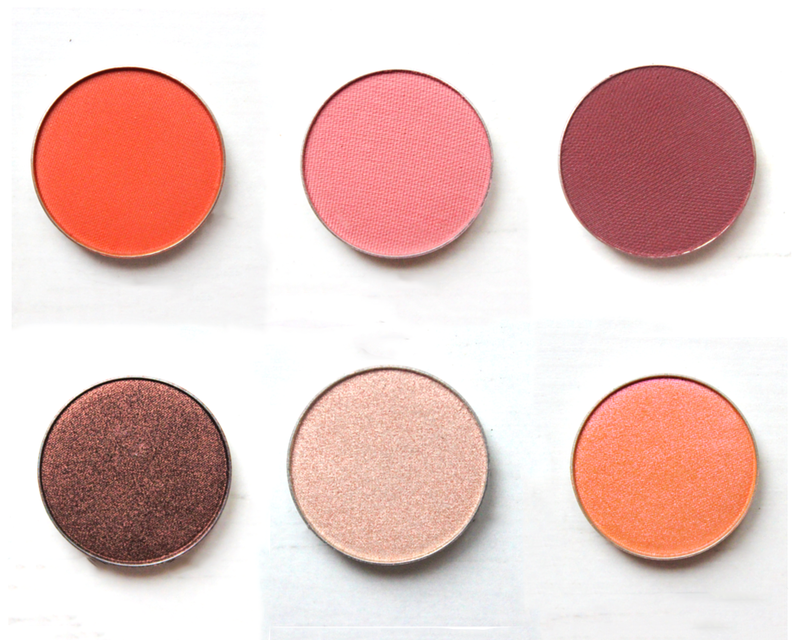 Steampunk is my absolute favourite and definitely the most pigmented out of the three I purchased. Mai Tai which leans more to the pink side of things is a gorgeous shade that would well as a lid colour for all skin tones including WoC. I’m Peachless was sold to me after watching MiKayla Hawkinson use this as an inner eye highlight – had to have it after that just for that purpose! I really have no bad words to say about the quality of Makeup Geek eye shadows, honestly I do not. Amazing quality, good amount or product and affordable pricing – everything I look for in a beauty item! What I do have issues with is the dreaded customs charge. To be fair the charge was not too steep this time with 7 shadows at $6 each resulting in a customs charge of £13.81, I think I was hit with a charge of around £27 last time. I’ve been told that if you order less than £15 worth of product (I assume this also includes shipping) you can avoid these charges but at $6 (around £4) each who isn’t going to order a few pans for their makeup stash? Shipping also annoyed me, it took around 3 weeks to get to me even though tracking stated that my item arrived in the UK within the week. This had nothing to do with MUG but with customs obviously. If you are in the UK and wish to pick up one or two shadows I would recommend using eBay first – quicker and will most likely be cheaper otherwise if you wish to do a big shop you can order directly from their website but be prepared for those nasty charges. 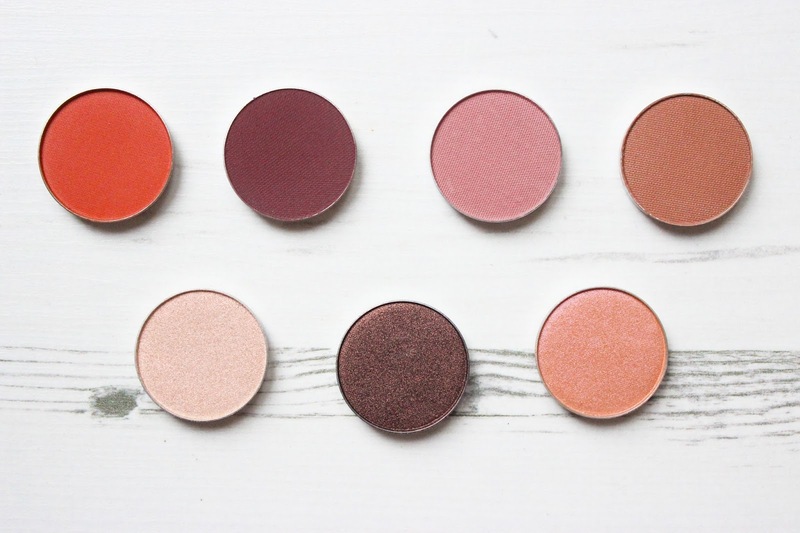 To pick up your eye shadows you can shop the Makeup Geek Store. UPDATE: Makeup Geek is now available to buy in the UK! Whoop! Next Post PSA // MAKEUP GEEK NOW AVAILABLE TO BUY IN THE UK! Wow! Such stunning colours you've picked. I shall def be ordering some, but the old fashion way, ship to a family member and get them to bring it for me. haha! The best way to avoid those damn charges!! !